Viewers of talent show I'd Do Anything will not get to choose the child actors who go on to star in Oliver! in the West End, the BBC has revealed. I'd Do Anything will follow 12 boys as they audition to play the plucky orphan, but the casting decision will be made by Andrew Lloyd Webber. The BBC said it was "in the best interests of the boys" not to put them through the voting process. However, viewers will get to choose the actress who plays the role of Nancy. 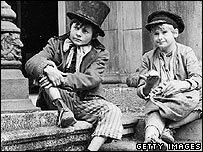 In all, three young actors will be picked to star as Oliver Twist, as child labour laws mean each child can only work 20 hours a week. The 12 hopefuls will be seen each week performing musical "tasks" and learning the tricks of the theatre trade, before the judging panel make their final choices. A BBC spokeswoman said: "As Oliver is played by a minor, his role will not be open to the public vote. "This decision was taken by the BBC following expert advice in providing a duty of care to child contributors. "We want all the boys to gain as much from this experience as possible, and enable them to learn as much about musical theatre as they can over the course of the series." 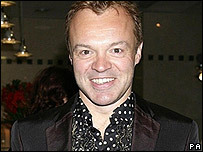 Host Graham Norton said he "wouldn't feel comfortable" putting the boys through the stress of a public vote during the series, which starts on BBC One on Saturday. "Those little boys are tough as old boots but, to see them on television, they just look very vulnerable," he said. "To have a little boy sobbing would be quite upsetting." About 10,000 people turned up to open auditions for the roles of Oliver and Nancy in Lionel Bart's classic musical. Nancy, an East End rough diamond, will be played by an actress over the age of 17. She will follow in the footsteps of previous BBC talent show winners Lee Mead and Connie Fisher.